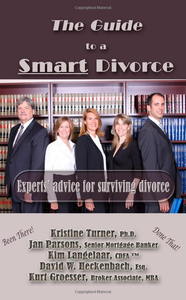 Been There, Done That - authors who specialize in the field of divorce and have experienced it themselves tell you the best ways to handle the difficult situations you're facing. Encourage children to express their feelings, (including sadness, loss, hurt, anger, guilt, helplessness, or fear) even if what they say is hard to bear. Encourage children to express their opinions.